Even when you feel as though you are completely alone, there are Divine Companions who are always with you. Before your incarnation, they chose to accompany you through your lifetime- from the moment of your first breath- until your last. 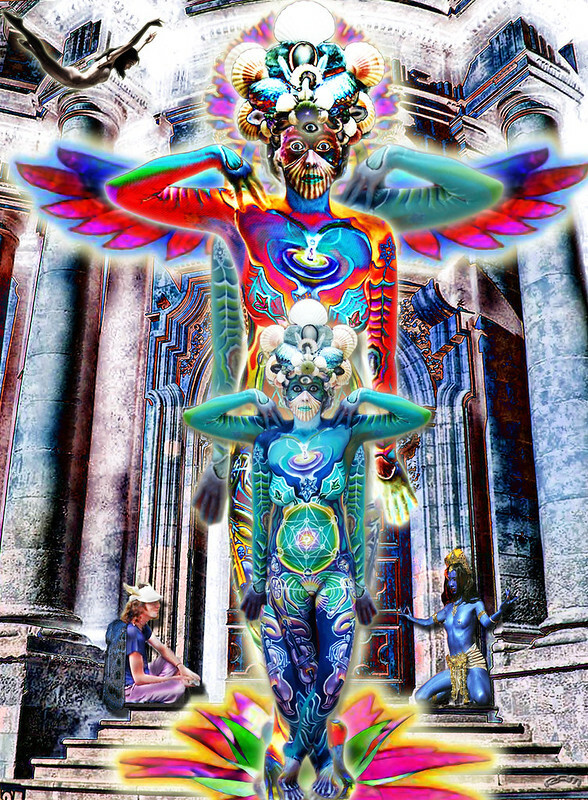 Spirit Guides are highly evolved beings that have completed the cycle of birth and death in the physical plane and are now serving as teachers and guides to further elevate their vibrations. They are as “real” as you are- they are just vibrating at another level and reside in another plane of existence. They work to guide you in working through your dreams and intuition. That quiet voice you hear is often the voice of your teachers and guides. They may also make themselves known to you through signs and symbols. For me, when I am at a crossroads in my life or journeying through a personal or emotional challenge- I find feathers everywhere. I also see feather tattoos, hawks and hear certain songs. It is a reminder for me to be still and listen to the guidance of my own personal guides. The feathers are representative of the energy of my guides- one being a powerful Shaman and the others are from the Angelic Realm. Some individuals have one guide and others have multitudes- much of this depends on the path and purpose of your life. For instance, a teacher/professor may have several guides- one to guide them through the academic nature of their profession and others to assist them with the great emotional requirements of performing such an important task. A policeman, fireman, or soldier will often have a “team” of warriors guiding and protecting them. Much of who your guides are indicative of your own personal journey through life. Spirit guides are almost never a loved one who has passed away. Although our loved ones stay with us in spirit and we can contact them, they do not serve the same role as a “spirit guide”. 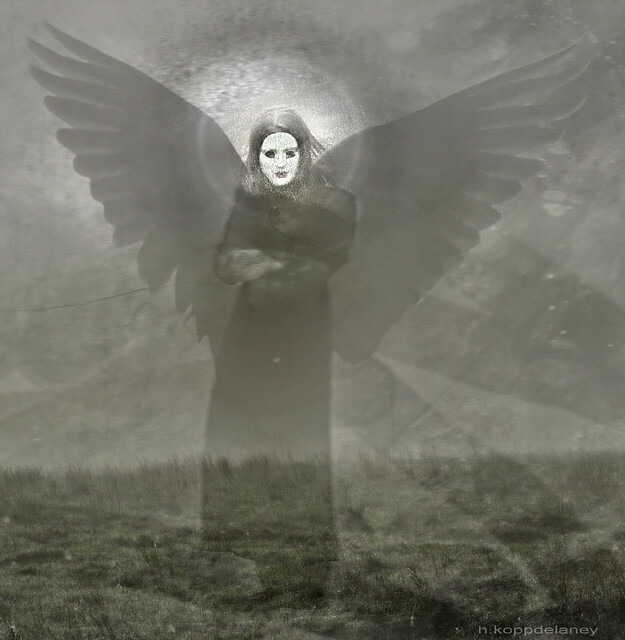 Some individuals have Archangels and Angels as spirit guides who are always with them. Yet, the presence of Angels does not always mean they are your spirit guides. Angels can be called in times of distress to assist you for a short time. If you have an Archangel or Angel as a guide, chances are your mission in life is a complex one. Through my experience with being a psychic reader and spiritual teacher- I have found that individuals with a challenging life path often have Angels as spirit guides. Your spirit guide is always with you, whether you acknowledge their presence or not. You cannot call them to you or send them away- they are part of you and your journey. However, you can choose to gain the knowledge of who they are and what their role in your life is. You can interact with your spirit guides in a more proactive way. If you want to know who your guides are, just ask. Get in a quiet and meditative space and ask that they reveal themselves to you. Do not get discouraged if you do not figure it out right away. Beings from the spiritual realm often communicate through signs and symbols. Once you ask- you must trust your own wisdom. Pay attention to the pictures that appear in your mind. If you see a man in a suit- stay with that- it could be he is a philosopher or scientist. You may see a Native American Indian, a Buddhist Monk or you may see nothing at all. Keep your mind and intuition open. Pay attention to things that keep coming up after you have asked that they reveal who they are. If you are having a challenge discovering who they are you can also contact a professional psychic/intuitive to assist you. Working with your spirit guides can be an incredible tool for your own personal and spiritual growth. Unlike beings who are in the physical- their wisdom and advice are not influenced by the “world”. They dwell in a higher vibrational plane and the mundane particulars of your situation are not relevant. For example- if you seek guidance from your spirit guide regarding a relationship- they will lead you to focus on what you are learning, what you need to learn, what you are teaching your partner, and what is the true meaning of your relationship. The fact that they leave the toilet seat up or are terrible at budgeting the household finances will be irrelevant. The information that you will be provided with- will be actions that YOU can take to gain more understanding. You can also ask your Spirit Guides to assist you in physical healing. Before you go to sleep, ask that as you are sleeping- you receive healing. You are never alone. Never. Take faith in knowing and understanding that there are so much magic and mystery in this life. Just for a moment let the “world” disappear. Raise your vibration and allow the beautiful gifts of spirit wash over you. Life is so much more than what we see. Open your spiritual eyes and hearts and you will discover a world of wisdom, beauty, and peace that you never knew existed. Of course, you can always choose to not believe. It is always your choice. But, why not? Why not step into another level of existence? Why not believe in magic? You do not have to announce it to the office, but you can embrace the wonders of spirit in your own heart. It will envelop you in a light of love and understanding- and will mysteriously transform you into a more connected and loving being. Oh, what would they say at the water cooler then?